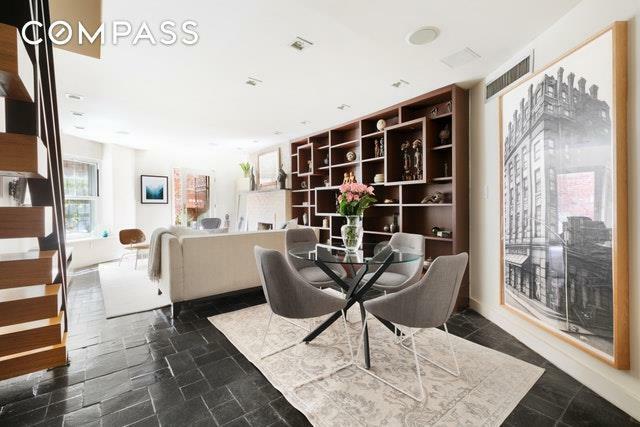 Enjoy the peaceful qualities of a London Townhouse Apartment or West Village home in New Yorks hottest new destination neighborhood, Hudson Yards. 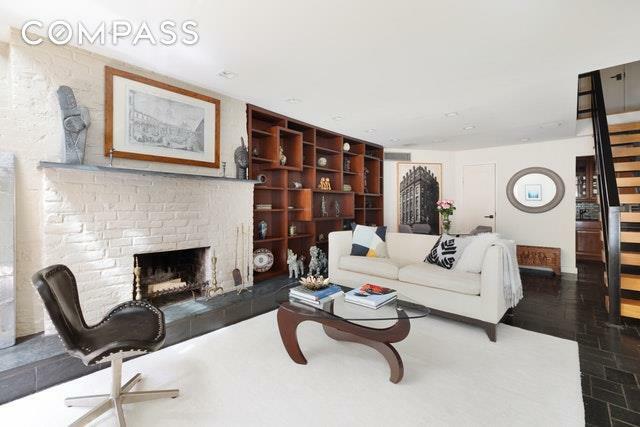 This super-charming and extra large 1-bedroom duplex will capture your heart! 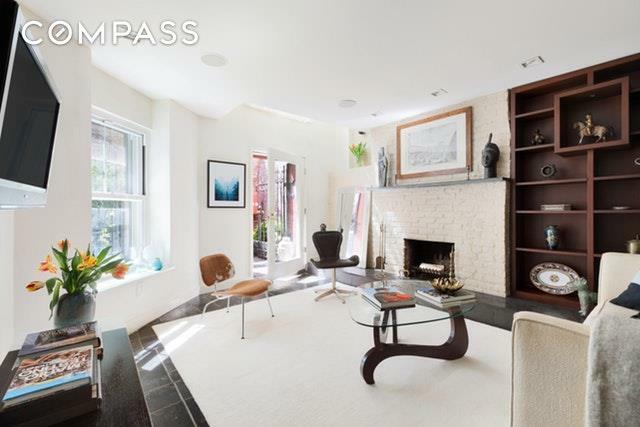 Residence 1A is a pin-drop quiet and spacious, renovated English-basement 1-bedroom, 1.5 bath townhouse-style duplex home. Bathed in morning and early afternoon sunlight it boasts a cozy gated terrace, perfect for planting or enjoying a morning coffee.The apartment was renovated with a nod to its architectural past while retaining the charm of its historic brickwork and wood-burning-fire place and introducing modernitys best. From its architecturally designed steel and solid-wood staircase, to the central HVAC system with a SENSI wi-fi controlled thermostat to its top-of-the line fixtures in the kitchen (Bertazzoni range; Fisher and Paykel fridge) to the full subway tiled bathrooms glass shower and milky-white Duravit sink, the apartment is a well-balanced combination of yesterday meets today. The upper level hosts the sun-filled bedroom with a separate home office and lots of storage and deep closets. Lamartine Place along 29th Street was landmarked in 2009 for its pre-war buildings and townhouses and enjoys wonderful sunlight offered by the open gardens of the co-ops to the south. 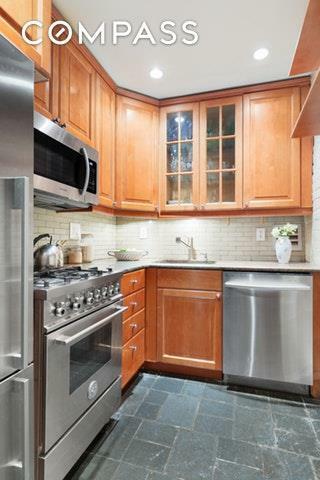 On its western edge, only one block from Hudson Yards, is the charming double-lot pre-war coop building with a beautiful red-brick and white ornamented faade, 353-355 West 29th Street. Enjoy immediate access to the shops and restaurants at Hudson Yards just a block away or the Chelsea Art District, the High Line just blocks away. All of New York City's excitement is easily accessible with the new Moynihan / Penn Station transportation hub just two blocks away as well as the ability to save time getting to the airports, Hamptons, upstate New York or wherever your heart desires for your weekend escapes. Come home to the crossroads of Chelsea and Hudson Yards. Enter a charming world of tranquility when you close your door behind you. It truly is that quiet in Apartment 1A. The best of all worlds. awaits you.